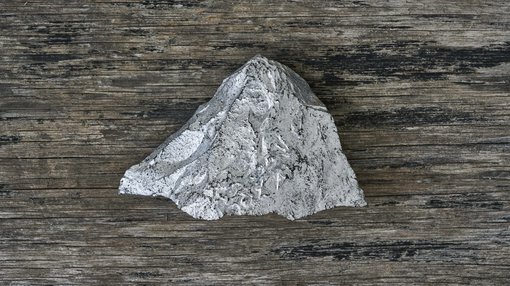 Pursuit Minerals Ltd (ASX:PUR) has intersected substantial widths of zinc-lead mineralisation in a hole planned to test the south-east extensions of the JB Zone on the Paperbark Project north of Mount Isa in Queensland. Zinc and lead mineralisation has been confirmed over a 91 metre down hole interval from 122 metres in hole (PB07-18) with zinc and lead values up to 5.05 per cent. As a backdrop, the project consists of one exploration permit, EPM 14309, covering an area of approximately 70 square kilometres. Exploration by previous companies focused on the JB Zone where a JORC 2012 Resource was established. It featured 10.4 million tonnes at 2.7% zinc, 0.2% lead, 1g/t silver at 1.5% zinc cut-off grade and was classified as Inferred in accordance with the JORC Code (2012). Drilling conducted by Pursuit Minerals in 2017 and 2018 focussed on understanding the potential to expand the existing Mineral Resource at the JB Zone, the potential of the newly discovered zinc system at the JE Zone and determining the probability that the JB and JE Zones are part of one large zinc system. 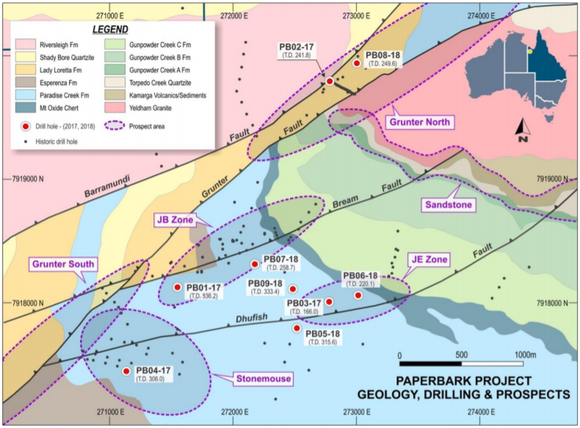 Consequently, it is significant that zinc-lead mineralisation intersected in drill hole PB07-18 occurs in the same geological sequences as the zinc-lead mineralisation at the JB Zone Mineral Resource and is characterised by three higher grade zones. Although it should be noted that this remains a speculative stock and investors should seek professional financial advice if considering this stock for their portfolio. The following map indicates the close proximity of the JB and JE zones, as well as the associated fault lines. Pursuit Minerals managing director Jeremy Read highlighted the promising nature of the results from drill hole PB07-18, saying that they confirmed the mineralisation of the JB Zone extends at least 90 metres to the south-east of the existing JB Zone Mineral Resource. Based on this data there appears to be real potential to substantially increase the JB Zone Mineral Resource.